Once readers visit the charming village of Acorn Hill they'll never want to leave. Three sisters-Louise, a widow from Philadelphia; Alice, an unmarried nurse who lived with her father; and Jane, a divorced chef from San Francisco-reunite in the sleepy town after their father's death and turn the family home into a charming bed-and-breakfast. 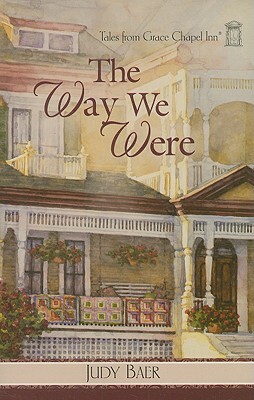 Here the sisters rekindle old memories, rediscover their childhood bonds, revel in the blessings of friendship and meet fascinating guests along the way.-------Alice is caring for a patient suffering from amnesia, and the only clue to her identity is the dog that was watching over her after her car went off the road. As Alice tries to help this woman recover her life, Louise counsels a guest whose marriage is on the rocks. Can she help the young woman give it one more try? Meanwhile, three of Jane's art school friends come to Grace Chapel Inn for a reunion and a reminder of the blessing of old friends.